A superb high quality Ottoman with single drawer made to the highest of standards, designed to compliment any bedroom. The trunk is made from solid pine. The drawer runners are also wood. Constructed to a higher than normal standard to ensure peace of mind. 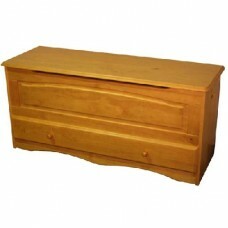 The Pine Ottoman with Drawer is manufactured by our associated factory in South America.